← Time for Empty Nest Syndrome… Or Not? 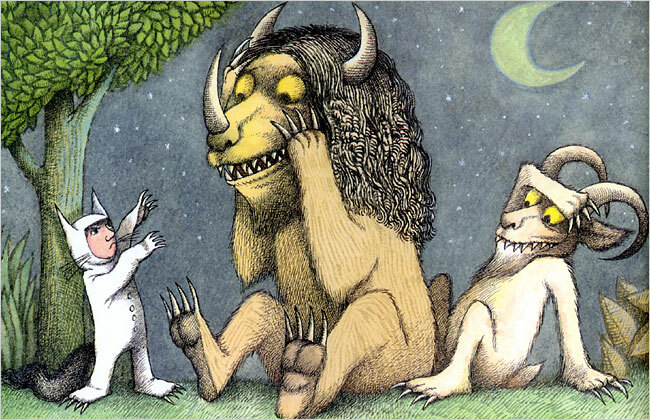 Where the Wild Things Are, is a very good story. I have a movie made ​​of the story =) It’s definitift one of my favorite stories. Ditto… So many wonderfully sweet themes! That book was one of my staples. Such a talented man. I just found out that he was gay and had been with is other half for 50 years! Yeah! sipping once, sipping twice, sipping chicken soup with rice…. 🙂 I read more about this aspect of his life, in the days after his death… This was his decision, and he remained true to it. But I still have hope and faith that we’ll see more movement for others who remain fearful of their sexuality. He shall be missed but through his books he will live a long time!!! ABSOLUTELY. Such an amazing talent; it says a lot about how his work is still so much a part of our culture. Yep, love this book. Pacific NW Ballet in Seattle stages the “Nutcracker” every year featuring set design by Maurice Sendak. I saw this ballet in 1991. Really, when did you live on Queen Anne? I moved to an apartment on lower Queen Anne in June 1992 and lived in that apartment until the summer of 1997. I worked at A Contemporary Theater in 1992-93. That’s crazy! We got our apartment facing the Bay on Queen Anne in ’92 (Skyline Apts! ), and I had a friend who worked in what I *think* was that theater… Was that in the Seattle Center? WHAT A SMALL WORLD. I visited recently, and was stunned by what I saw… Completely changed. I understand lots of LA $$ has been investing in Seattle for years, now.